As one of the fastest growing economies in Asia, the Philippines currently relies primarily on coal to generate power, almost 75 percent of which is imported. The country’s Renewable Energy Act in 2008 started the transformation towards clean energy, and the movement has since gathered momentum. During the launch of the National Renewable Energy Program in 2011, the potential of renewable energy usage in the country was recognized and it was hailed as the energy that would fuel the country's future. To generate substantial energy supply while reducing energy-related carbon emissions, the country has set a target to significantly increase its renewable energy capacity by 2030, aiming to have 15,400 MW installed renewable energy capacity, accounting for half of the country’s power demand, by that time. To date, the Philippine islands have generated around 900MW of solar energy and 450MW of wind energy, and they have significant potential to harness more wind energy. ABB is currently working with Philippine Hybrid Energy Systems Inc. (PHESI) and Asian Electrosystems Corporation (AEC) to grid connect the first phase of the 48-MW wind farm project in the Puerto Galera area of Mindoro, an island about 130 kilometers southwest of Manila. The wind farm is located in the highland village of Baclayan, and is poised to empower off-grid communities on Mindoro while helping the province establish infrastructure, employment and tourism opportunities. Puerto Galera is known as a popular tourist destination known for its beaches and scuba diving but is emerging to become one of the renewable energy development hubs in the country, with several wind, hydroelectric, and geothermal projects under construction in the island. 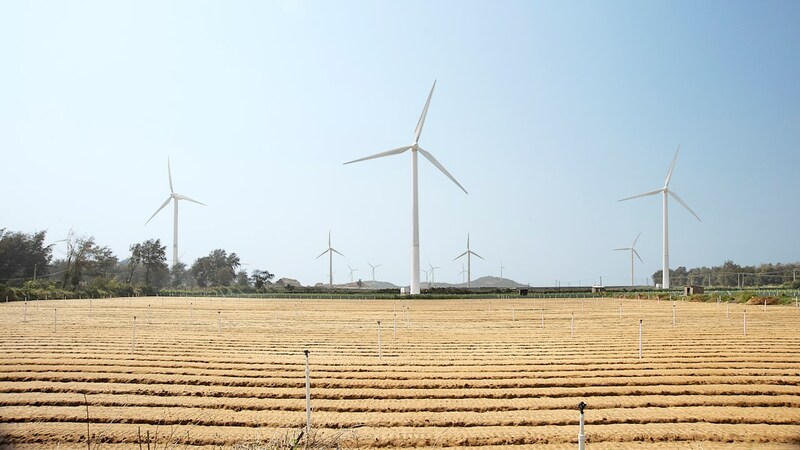 Upon completion, the 1,296 hectare wind farm will be the largest in the country. The Puerto Galera wind farm project is seen to benefit close to 265,000 households on the island that have long been affected by rotating blackouts due to a shortage in power supply. ABB will supply a range of electrical equipment including transformers, low, medium and high voltage switchgear as well as control and protection panels and relays. The power generated from the wind turbines will be transferred for use by electrical distribution utilities in the area. The first phase is expected to be completed in Q3 2018. “ABB has always been committed to providing technology solutions that strengthen the power infrastructure while minimizing environmental impact. Our solutions, will play a crucial role in ensuring that the Mindoro region receives stable energy supply and helping it realize commercial opportunities. Moreover, it underscores ABB’s commitment to the Philippines, which is striving to integrate renewable energy into its grid to deliver stable and affordable power for all” said Olivier Coquerel, President and Country Managing Director of ABB in the Philippines. The development of the Puerto Galera Wind Farm is also contributing to employment in the area.